Under the 2005 Bankruptcy law, every debtor must undergo pre-bankruptcy credit counseling. The purpose of this counseling requirement is to expose potential debtors to non-bankruptcy alternatives. The list of approved credit counseling vendors is contained at the U.S. Trustee’s web site. Many of these counseling agencies offer telephone or on-line counseling and by law, credit counseling agencies may charge no more than $50 for this service. 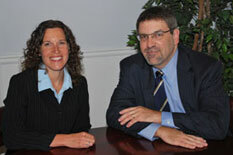 Several of our firm’s clients have sought credit counseling through Consumer Credit Counseling. CCCS offers telephone or on-line counseling. They can be reached at 866-672-2227 or through the CCCS web site. Unless you are facing an emergency situation, you should seek credit counseling prior to making an appointment to me with me. If your credit counselor can show you a way to pay your bills and avoid bankruptcy, then I recommend that you follow that advice and avoid bankruptcy. If bankruptcy remains your best option, you will need to get a “certificate of completion” and bring it with you to your appointment. This certificate must be filed along with your bankruptcy petition.